This entry was posted in Friday, hardhack, programming, raspberrypi, Work and tagged Android, beacon, bluetooth, Hack Day, iBeacon, ios, mac, phonegap, pibeacon, raspberrypi, xcode by SSilver2k2. Bookmark the permalink. This is really cool. 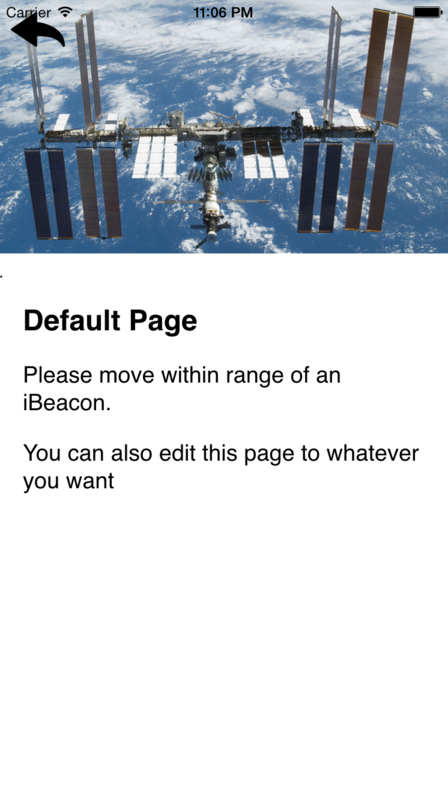 If you were to stick this somewhere, would someone with a bluetooth-enabled smartphone have to have any special app or screen open on their phone to see the beacon’s page, or does it come up like a ‘wifi in the area’ notification in Android? Thanks for the great share Shea. I’ve been looking something like this for days. Thanks a lot again.